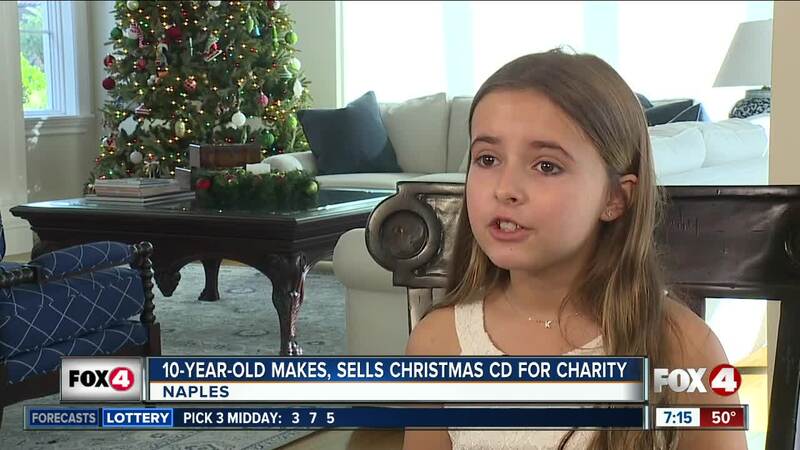 With the help of her parents David and Becky, 10-year-old Kylie Gust created a Christmas C-D, performing some of her favorite holiday songs, to sell and raise money for the Humane Society, Wounded Warrior Project and St. Judes. 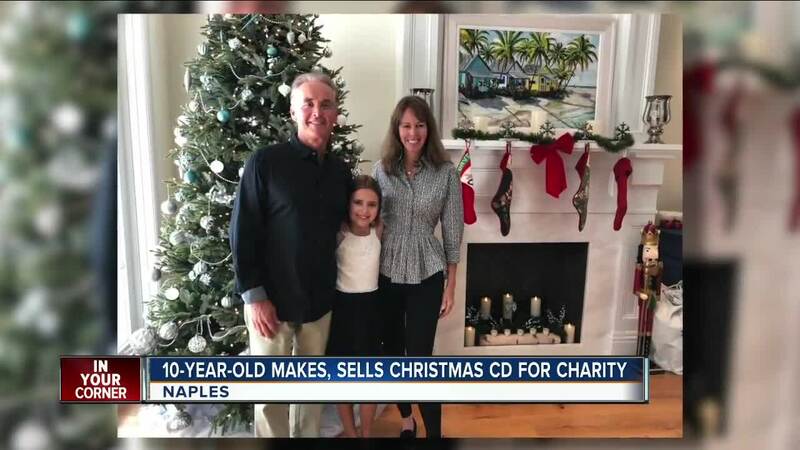 NAPLES, Fla. — With the help of her parents David and Becky, 10-year-old Kylie Gust created a Christmas CD, performing some of her favorite holiday songs, to sell and raise money for the Humane Society, Wounded Warrior Project and St. Jude Children's Research Hospital. Since mid-November, Gust has gone door to door, and created a website to sell her CD for $10 a piece. "My goal is $10,000, but if we do reach that, I'm not going to stop there. I want to go over the goal," Kylie Gust said. As of Monday, her father, David Gust, told 4 In Your Corner, Kylie has raised over $9,000 so far and she's choosing to donate this money to the Humane Society, Wounded Warriors Project and St. Jude Children's Research Hospital. Kylie Gust said, "More people and more animals and more kids can be helped. And less kids can die from cancers, more animals can be saved and veterans can have a happy life." Her parents said at just three years old, they knew she had talent. "She started to sing and I noticed her voice," Kylie's mom, Becky said. "She was actually hitting the notes!" Gust will continue to sell her CD throughout Dec. 2018.